Yes, I am still loving on the Hero Arts You’re So Lovely stamp set. Can’t get enough of these flowers! Supplies: Stamps – Hero Arts, Stampin’ Up!, paper – Neenah Classic Crest Solar White, Stampin’ Up! Basic Black, Pink Passion (retired), inks – Tim Holtz/Ranger Distress Inks Abandoned Coral, Mowed Lawn, Picked Raspberry, VersaFine Onyx Black, die – Lawn Fawn, enamel dots – Stampin’ Up!, embossing powder – Filigree Fine Art Powder clear, organdy ribbon – Offray. 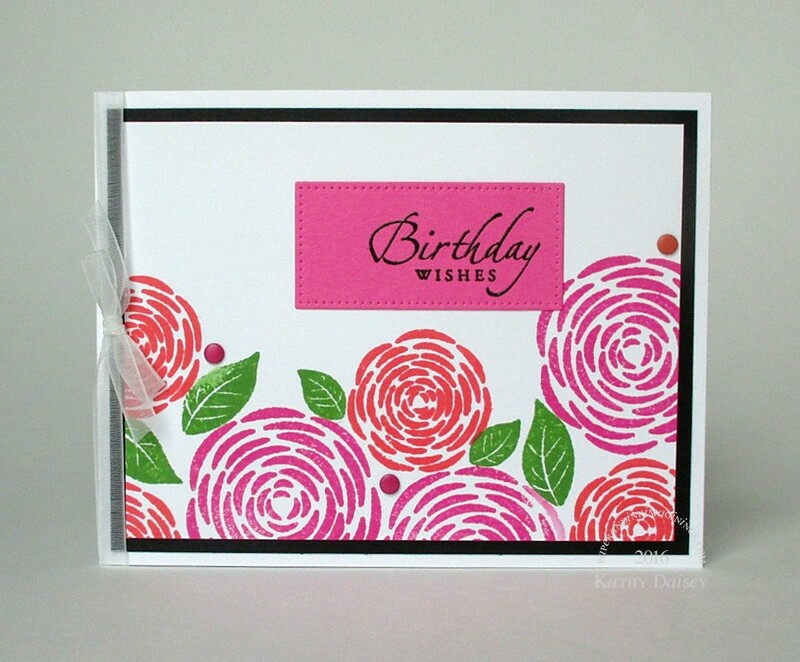 Categories: birthday, card | Tags: card, Hero Arts, Lawn Fawn, Neenah, Offray, Stampin' Up!, Tsukineko, VersaFine | Permalink. How about something like this for a mothers day card. Sure – same color scheme? I will e-mail you.